Sorghum a cereal grain is the ﬁfth most important cereal crop in the world. Our sorghum recipe is a quick and easy breakfast meal. Sorghum is a whole grain widely eaten throughout the world. 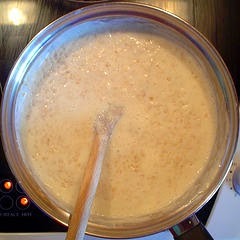 In Africa, sorghum is mainly a human food product, while in the United States sorghum is used mainly for livestock feed. Recently in the United States due partly to the gluten-free benefits of sorghum, many Americans are beginning to eat Sorghum. Sorghum, which has an edible hull, is generally eaten with all its outer layers retaining the bulk of its nutrients. 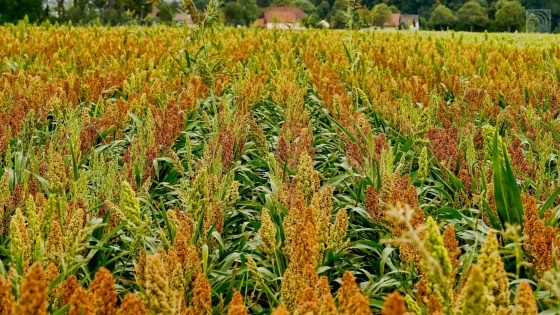 Sorghum, grown from traditional hybrid seeds does not have the qualities of grain grown through biotechnology, making it a non-GMO food. GMO stands for genetically modified organisms plants or animals made from the gene splicing techniques of biotechnology. Add all ingredients to a medium pot stir well and simmer on low 30 minutes. Serve warm with a lot of butter. Add sugar as needed.